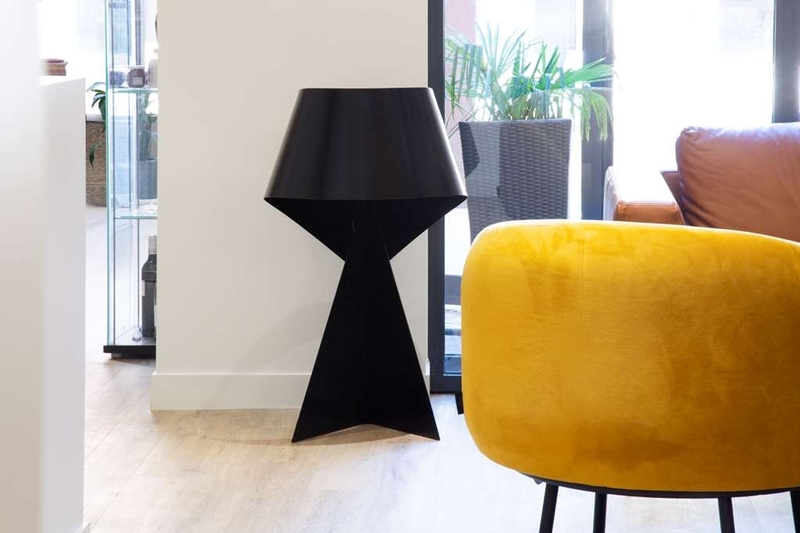 The Best Western Hotel Innes is ideally located in the center of Toulouse. Come and experience our hotel near the major tourist attractions. Best price guaranteed and exclusive deals. Not a good combination for a 4 star hotel. Does not mention about the lack of lift for the top floor and the stair case is like an attic entrance throughout the hotel. Extremely small place for a 4 star hotel and lacking some basic facilities like iron / board. No proper windows. "We wouldn't stay anywhere else"
Yet another lovely stay at the Best Western. Loving the new modern look in the lobby/reception and in the bedrooms. This hotel ticks all the boxes. Close to city centre 5mins from Capitole. Parking guaranteed and at a reasonable price. Clean and comfortable rooms. And finally friendly and helpful staff. A special mention for Olivier who always greets us like old friends whatever time we return in the early hours! "Perfectly acceptable for a budget hotel"
Good value for a short stay. 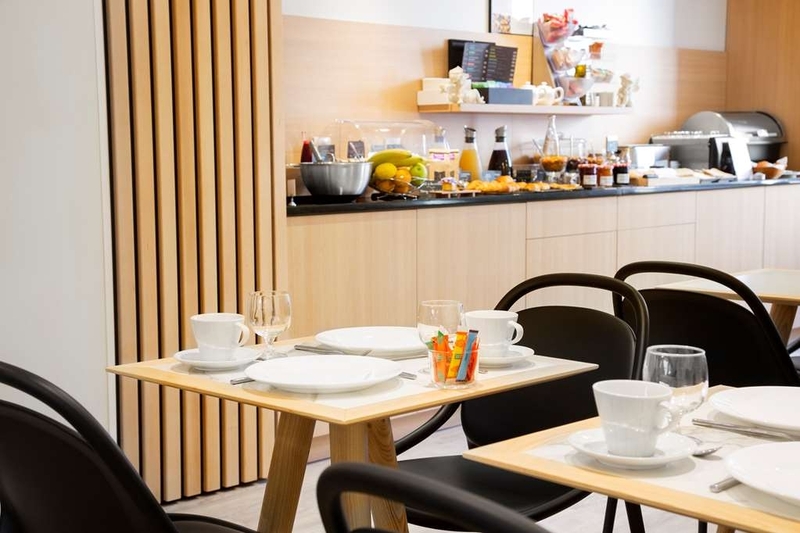 Close to the city centre, room small but OK, breakfast acceptable and the staff pleasant and helpful. Car part is a tight fit which is typical of French city centre hotels however, having a car park at all is a major benefit. Happy to use this place again as a stop over whilst travelling south. Stayed here for a couple of days and found the hotel itself to have very little by way of amenities. The lobby is very small and lack lustre to say the least. The room, presumably the best they have to offer, is small and certainly nothing special. Cannot imagine how this hotel got a 4 star rating, it's a stretch to rate it as a 3 star. I will say the staff were accommodating. "Small hotel in a good location." The location is great, in the center of the city. Walking distance to all museums and important places. Rooms are tiny but quiet and the bed is comfortable, bathroom was great, clean and spacious. This is not a 4 star hotel as claimed though, more like a 3. The breakfast was average, the breakfast room was not air conditioned.Very limited amount of hot food. There are renovations going on, so parking space is very limited. not sure about noise during the week, as we were there on the weekend. People at the reception were helpful and friendly. No issue checking in or out. This hotel was being renovated when we stayed in mid-June. Even allowing for this, I fail to see how it could possibly be graded as 4 stars. It is an old building, and our standard room was very small. Barely enough room to pull the chair out from under the desk/dressing table. Bathroom and toilet separate, with extractor fans not working in either. No grab rails in bathroom - a problem when the bath is slippery and the shower is over the bath. No air-conditioning (because of the renovations), so a floor-standing fan was supplied. This worked OK, but the room remained very warm. Fan also took up precious floor space. Staff very pleasant. Breakfast fairly limited, and one morning had to ask for the dried fruit which was available the previous day. Only prunes put out, when apricots were also in the cupboard. Supplies not replenished often enough. Noticed that some people who came later for breakfast had a rather meagre choice. NOT 4-star standard. Hotel in convenient position near Toulouse centre, and parking available at 10 euros/day (small car park with limited spaces). Overall, quite disappointed with our stay, and feel that Best Western should check things out. Booked the hotel based on the Best Western brand reputation, its 4 stars and its €169 per night price, but extremely disappointed upon arrival. First of all the airport shuttle service mentioned on hotel features is in fact non existent. The hotel lobby is the smallest that I've ever seen. My room had so little room to move around that one could easily experience a ball injury with any given movement. Bathroom was just as crummy with the oldest towels you could find in the world. It was suffocating from the time I checked in at the front seat, to the one night (thank goodness it's only one night) spent in the room, to the time I checked out and waited for my Uber ride. 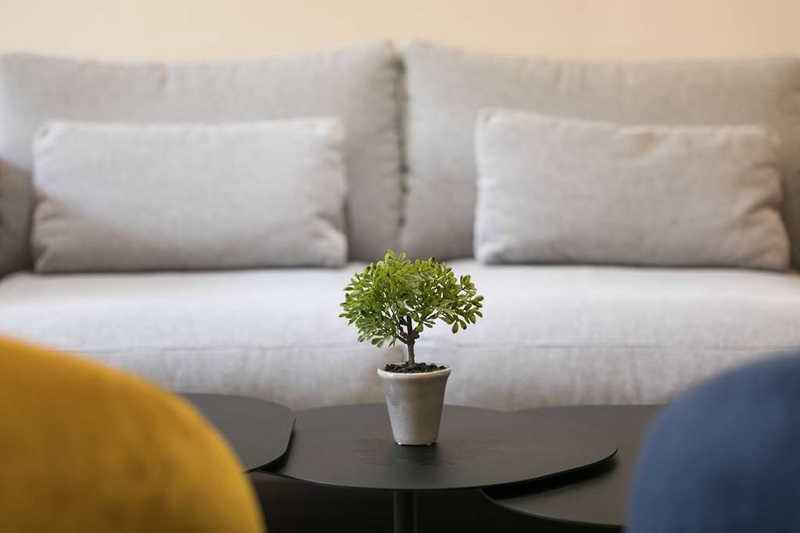 The place provided no space to feel a moment of easiness and relaxation. The view outside the window beyond the dirty old curtain was equally depressing: a crummy parking lot for no more than 20 cars. 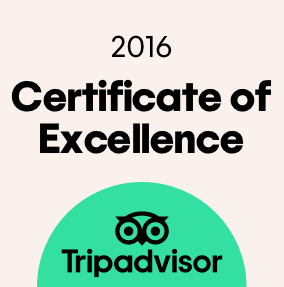 The only thing worth praising was the young lady who checked me in who spoke excellent English was very professional and friendly. This is not a 4-star hotel, no way, no how! I stayed at both Best Western Hotels in Toulouse - and had a very pleasant stay here. The reception staff were very friendly and helpful and the room, clean and tidy, and a good size. Reasonably close to both St Sernin Basilica and the Cathedral - which were both well worth a visit. Restaurants and bars within walking distance. Under going some refurbishment at the moment, so no bar, but I understand that the work is coming to an end, so all should be good within a week or so. A good stay. I would definitely go back. Situated close to the centre of Toulouse, clean, good sized bedrooms and good breakfast. For us, it was an ideal hotel if you don't want to pay too much but want a decent hotel as a base to explore the city. The staff are helpful, we had a small problem with our room and moved rooms but this was no problem. Breakfast was very good, buffet style, with lots of choice. The only thing I liked about the Hotel this year was the location and the parking. We had stayed here last year and it was very good. On the basis of last year's experience we decided to stay here again this year. there was no comparison. The Hotel is being renovated. There is no bar facility, no restaurant. No place to have a snack. The place is dirty and dusty. I thought that it was a basic requirement for a hotel to provide food and drink facilities in order to obtain a 3 or 4 * rating? Because it is Best Western we assumed that it would have Best Western standards. Unfortunately, this is not the case even though there is no reduction in price, there is a huge reduction in standard. The breakfast is a joke! you have to cross the road to a restaurant for the least exciting breakfast imaginable. Breakfast is supposed to be served till 10.00. We arrived at 9.30 and almost everything was being cleared from the so called "buffet". She had to put out everything again. Then other guests arrived. The selection for the breakfast was nothing like the selection available last year. Shame on you Best Western Athenee. It's not horrible, but not what I would expect from a four-star hotel. 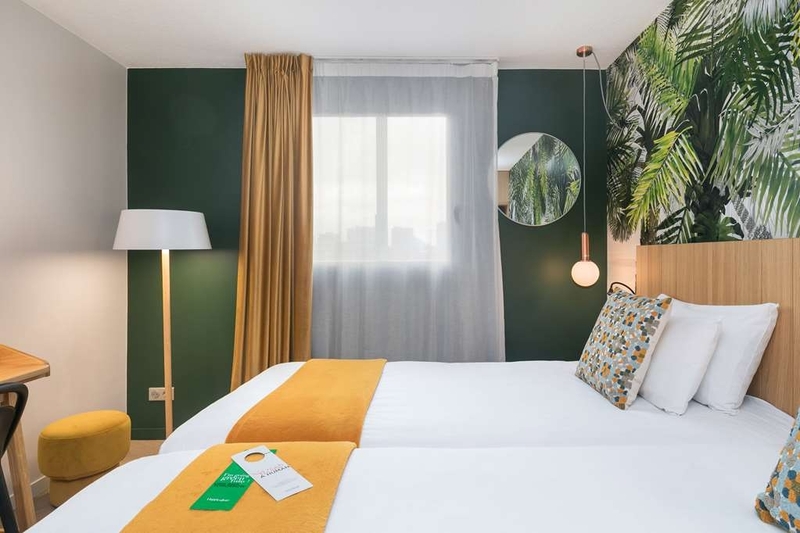 It is in a good location, and the people are friendly, but there are a number of small problems with the room that added up to sort of an annoying stay. I have no problem with a small room, but the furniture was just a bit too big for the room, so I couldn't pull the chair out from under the desk or use the rack for clothes in the closet. The outer shades on the windows didn't work. The shower had one of those "design" glass doors that are supposed to work as a shower curtain, but don't. The holder for the soap dispenser was too small for the soap bottle, so I actually had to take it apart to get the soap in the shower. Etc. 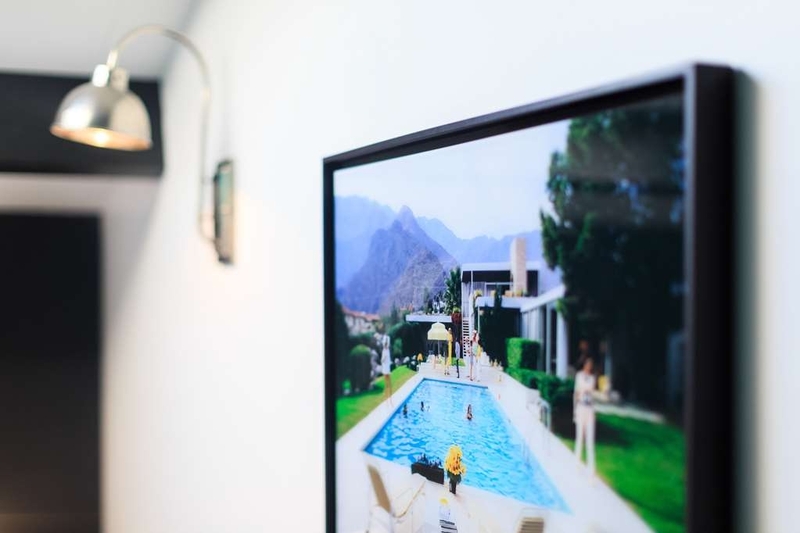 "Central location, confy and minimal style, ideal for families, couples etc"
I visited Hotel Athenee this February and the experience I had was great. 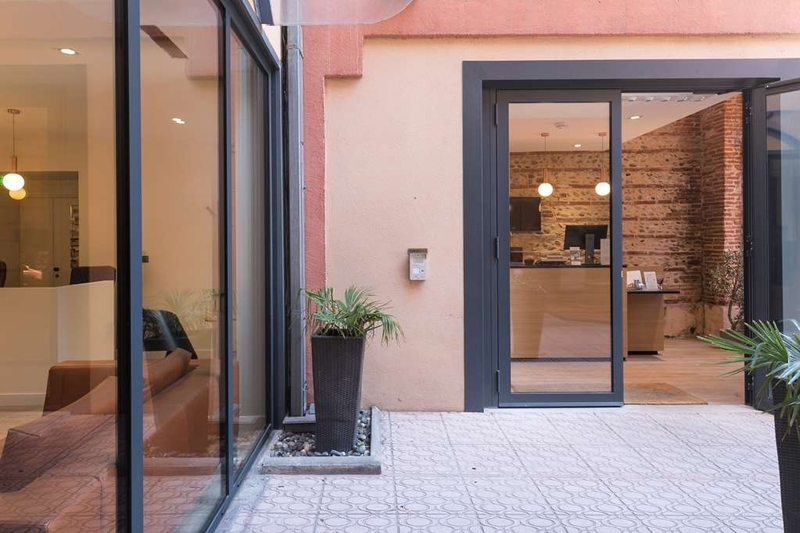 The hotel is located in a central point of Toulouse and has its own parking area. Everything you need to see it's nearby and you don't have to use your car in order to explore city's attractions. The room was great, clean and super confortable. The general ambiance was amazing and everyone at the reception was so helfull, willing to give you some touristic tips about what to see in Toulouse etc. It's definitely the best choice if you wish to visit the city!! The hotel is in a brilliant location - minutes walk from the bus station where the airport shuttle stops and also from the metro station Jean d'Arc, which brings you from the airport too after a transfer at Palais de Justice from the T2 tram (€1.60 for the entire journey) Theafter no transport is required to see the major sights as they are all in walking distance. With regards the hotel - the staff,without exception were all very friendly, helpful and efficient. All areas were very clean. Lift to all floors is very efficient. Breakfast area is small but enough choice of food and never overcrowded because of the extended breakfast hours. Our room however was TINY. The beds were very comfortable, good quality linens and towels and the bathroom was a decent size with a separate toilet. The room had twin beds and a table with two chairs but that just about filled the space. A safe in the wardrobe was appreciated. The free wine tasting and appetisers is no longer on offer. This was a huge disappointment to us as this was one of the reasons we had booked the hotel. We did however get a complimentary glass of wine on our first night as an apology! The small lounge at reception is a nice place to sit. However we did not like the fusball table being there. Luckily it was never in use whilst we were there but it is completely out of place in this hotel. In summing up, we did enjoy our stay here but did feel the room was far too small and it is definitely not in our opinion a four star hotel. Wish I had tried a local hotel instead. Rooms are small, in need of updating. Location is good for walking to some of the major attractions and shopping in the area. Staff friendly, breakfast adequate. This hotel is so central to lots of things. It is close to the bus terminal and not far from the trains. There is an amazing Town Hall and this time of year a Christmas market! The hotel was beautifully clean and comfortable. The Continental breakfast was very good. The staff where very helpful. You can get a coffee in the reception area for free. They have kettle and tea coffee in the room. The disabled room we had, had a fantastic wet room. Very good! "Booked online - walked in and walked out - awful"
My partner and I had a flight delay - we have in the past had good experiences with best western so we're not hesitant to book this however this was awful. Staff not very helpful the room looked nothing like the photos online it was really old and tired with no curtains!!!! The hall outside the room had no lights so you had to go to your room in the pitch black!!! We felt unsafe and would not be able to seep there so left - we may never see the money again but honestly I would rather spend a night in prison than this hotel. "Good Hotel near Matabiou station"
It was my second visit to Toulouse and another stay at this Hotel. I've choosed it for it's location at first - as I was travelling by the train (it is near Matabiou station and airport shuttle). Quiet and comfortable room (I've had a comfortable one),good breakfast, walk distance from historical center. Good clean room, we got the new ones on the top floor. A bit warm for my taste, but seems to be the common theme on this trip. We only stayed one night, but late night and morning staff was great, offering good suggestions for local sightseeing. 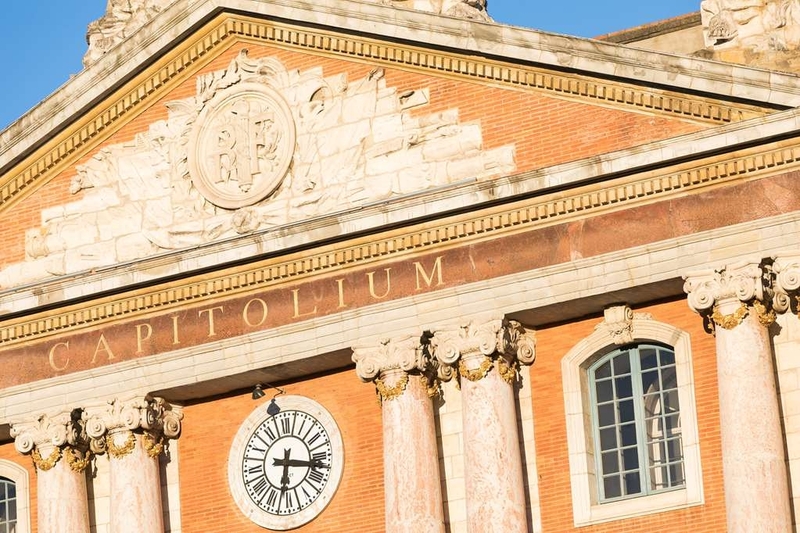 Within walking distance of everything, and close to the bus station, this location is perfect for seeing the Capitole, Basilica, and St. Étienne. The hotel is situated in a perfect location, no more than 10 min walking to the down town and main train station. The room maybe a little small, but clean and with everything you need. Right breakfast, could improve it, but it is ok. Also they have every evening (from 6pm to 8pm) a little snack to test some local products, as like duck foie, wine. I would like to have special mention to all the staff, they are very friendly people, always ready to help. Thank you very much to all of you! "Tucked away but very nice"
We stayed for 2 nights in an attic room no75 on the 7th floor. It was very modern if a little small with a skylight window in the roof. Nice bathroom and shower. Breakfast was nice and French served in small breakfast bar. Our room on the 7th floor had to reached by a lift to the 6th floor then a spiral staircase to the 7th. Something to bear in mind if you have luggage. Within 15 easy walk of the main square and restaurants. A good base to explore the city. I don't usually write reviews. However, in this case, I think I have something to add: this room for three nights is a comfortable, adequate, three star hotel. The staff were very helpful and deserve to be praised for the things they do to enhance the stay. That being said, it is misleading to describe this hotel as "four star" (see above Trip Advisor rating). The fish eye lense photo of the room gives a misleading impression of spaciousness. 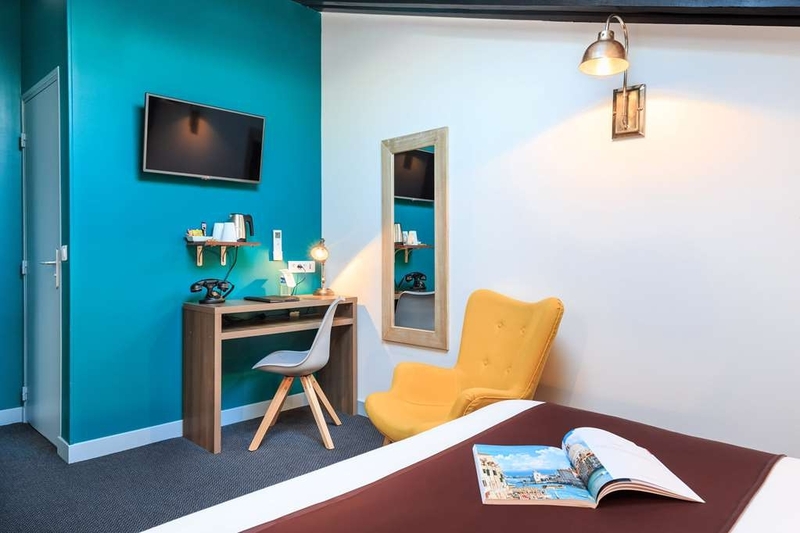 Small but clean , comfortable hotel ideally suited for exploring the squares and side streets of Central Toulouse . 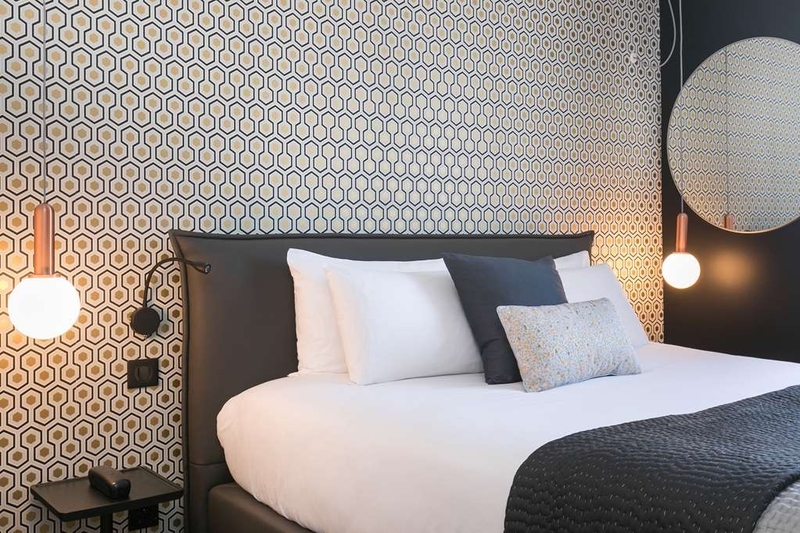 The Athenee is located off the Boulevard de Strasbourg just 2 minutes from Jeanne de Arc bus stop .We had a 1st floor room accessed by lift or small spiral staircase . The room was on two levels , The small wardrobe , toilet and shower separated from the comfortable , spacious bed by 5 steps . There was a small tv in the air conditioned room along with a small desk , two chairs , kettle,tea, coffee , biscuits and a bottle of water. The linen and towels were fine as were the toiletries. The shower was very powerful . Breakfast was included in our booking and was plentiful with an array of hot and cold options . Tea and coffee was from a machine located in the corner of the small dining room . It was all self service . Between 6 and 8 in the small lounge the hotel provided a free glass of wine and sampling of local food - nice . 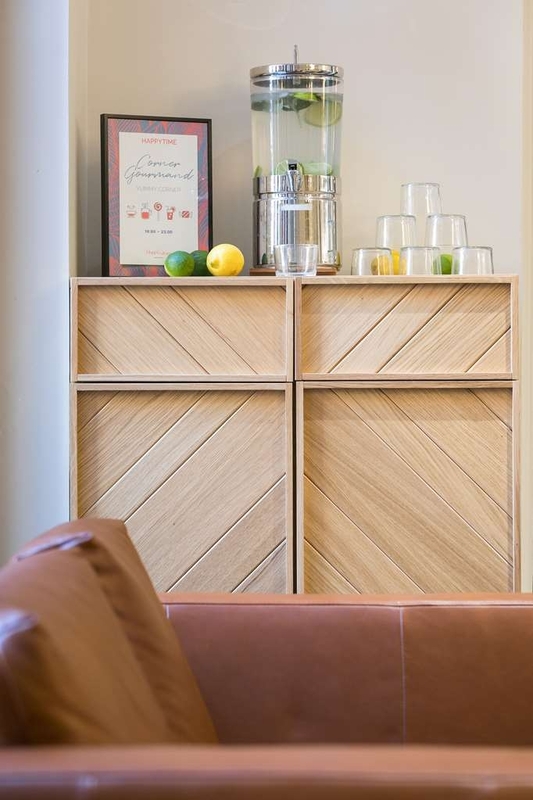 Guests could also help themselves to a free coffee from a coffee machine located in the lounge . Reception staff spoke English and were very helpful and friendly . It was our 1st stay in Toulouse and we would definitely stay there again . You could easily pass this hotel without noticing it. Even if you did notice it, it doesn't look much from the outside. But, my goodness, it is a gem inside! We received a very (un-French) warm welcome from the staff, all of whom were great throughout our stay. Our room was clean and the bed comfortable, with a lovely bathroom. Breakfast was also very good, served in the small room off the lobby. Free hot drinks are available all day in the cosy lobby. Dear Olicanan. The whole team joins me to thank you for all these praise. It is a real reward for us to read this. We hope to see you soon in Toulouse. "Good clean rooms, with a personal touch"
Great little hotel, with small and basic, but clean rooms. Staff were excellent. I especially liked the gesture of them putting on free apéritifs and a small glass of wine in the evening, and the free coffee corner. Secure parking at the rear of the hotel, only accessed by passing next to the reception area. 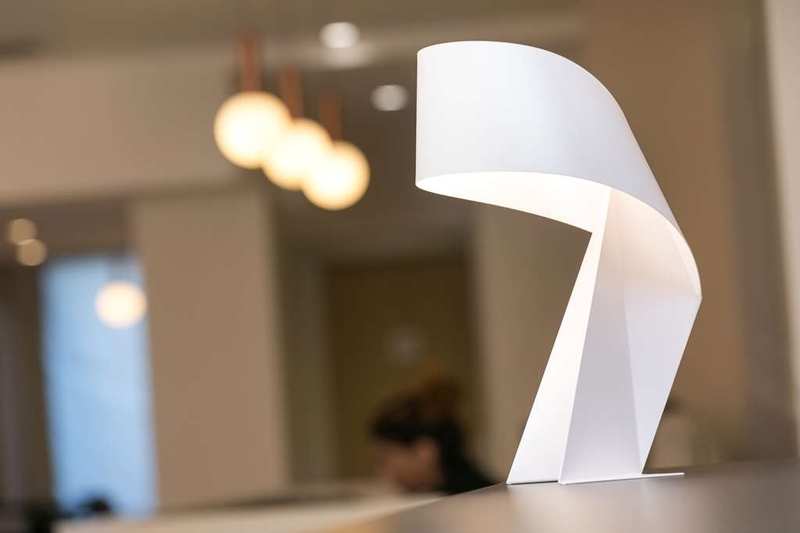 The Good points: Welcoming, friendly and helpful service from the reception staff. This includes recommendations for excellent restaurants. Reasonable towels. The free wifi is fast and reasonably easy to use. Comfortable bed. Decent bathroom, although it was impossible to have a shower at a consistent After checking in we had a change of circumstances which meant we had to leave a day earlier than booked. A major plus for us was the very graceful manner in which the hotel accepted cancellation of our last day's booking without charge. The not so good points: Chipped cups that were not properly washed daily, I.e., with tea stains. Minute room with minimal packing space. Poor toiletries. 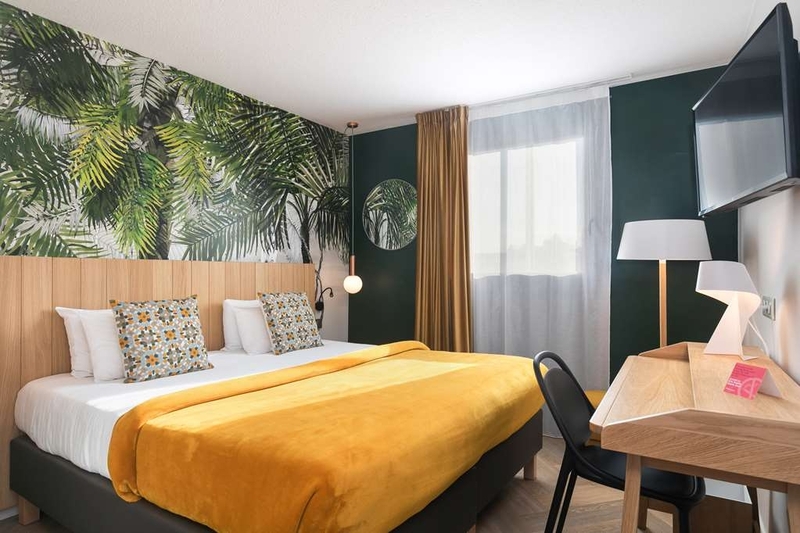 The immediate neighbourhood is pretty low rent (but the hotel is only a short walk from public transport, Boulevard Strasbourg and the shopping precinct). Ancient noisy, ineffective, filthy air conditioners. Overall it's a mystery how this place can be rated as four star, it certainly disappoints if you have four star expectations. "Central location, great staff and reasonable rates"
Stayed here for two nights. The welcome from the receptionists was exceptional. We were given details about shopping, restaurants, public transport etc. We were also invited to a sampling of local food and wine every evening between 6 and 8 - a very nice touch! Also, we couod help ourselves to tea / coffee in the Reception area any time during the day. The room was on the first floor with two levels. The hallway, bathroom and seperate toilet on one level and the beds up a few steps on another level. It was adequate with tea / coffee making facilities. It was spotlessly clean. The air conditioning was a great help. Breakfast was wonderful - lots of items to choose from with locely staff attending to every need. There were eggs, bacon, sausages, cold meats, chees, fresh fruit, breads, croissants, jams, yogurts, juices etc. A really fabulous selection. Overal, we enjoyed our stay in this lovely small hotel very near to Jeanne d'Arc Metro and ten minute walk from the Capitole. Busses are readily available. Only a stone's throw from shops and restaurants. We would definitely stay here again if we go back to Toulouse. Thank you to all the staff. Modern room with a good shower and skylight! The location was walkable from the train station and near to restaurants and the metro. And the staff was most delightful -- we were stopping through on our honeymoon from Nice to Paris and they left a sweet note and fun treats in our room as a gift! Stayed here for a couple of nights on a business trip. Arrived by car and it was easy to find with an attached garage, very useful. The hotel was near the metro and bus stops and within walking distance of all the tourist sites and shops. An excellent central location. The room was at the rear and was quiet. The bed was very comfy, though little room to just sit in. Bathroom was nice, with an excellent shower. The staff were very helpful and friendly. Hotel itself is a great location, rooms small but acceptable. Value for money. The night staff Oliver is a credit to the company, nothing is any trouble and he is very polite and helpful. Oliver makes this hotel on a evening. Stayed here for 2 nights due to a unexpected breakdown with a vehicle. 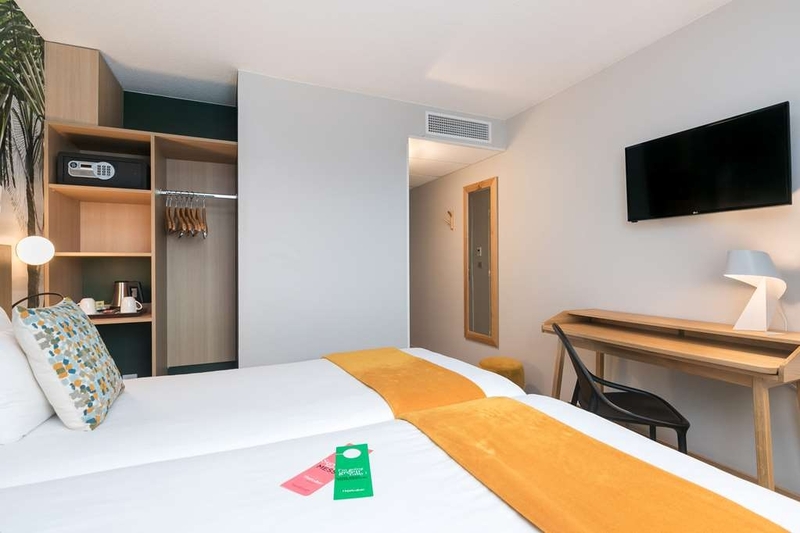 "Very professional staff, well located, perfect for business trip"
Very well located hotel in Toulouse near Jeanne d'Arc subway station. All city is accessible by walk. The room are small but well set-up, so it does not fell cramped. Nice shower and bathroom. The breakfast is a classic one, coffee is good. Very good choice for business trip. An ordinary hotel in a not very attractive area of the city (don't expect great views from your window) but not far from the downtown attractions, restaurants and shopping. Everything - lobby, breakfast area, rooms, corridors and stairways are very small but well maintained. The bed was quite comfortable. What I didn't like is the bathroom with contaminated drain and not enough light both in the bathroom and especially in the room. There is also no recognition for Best Western loyalty program members as in the other hotels of the chain. The staff is great, always willing to help. So, all in all the stay was a positive experience especially considering the price paid. Very good value for money. As others have said, the hotel itself is fairly ordinary, and in a very slightly run down area, but neither are really that much of a problem. What sets the place apart, and overall makes it superb value, is the staff. They really are most helpful and engaging, and a special mention to Lionel, Charlotte and Olivier. As the hotel is quite small, then they tend to do everything, and make the effort to do as much as they can for you. A particularly nice touch is that they offer a free aperitif between 6 and 8, with free canapes, all themed for SW france - we had a dry white a sweet white and a full bodied red, and all were excellent examples of their genre. It was a good opportunity to meet other guests too. Breakfast area a bit small, and was a bit hectic when we were a bit late coming down. 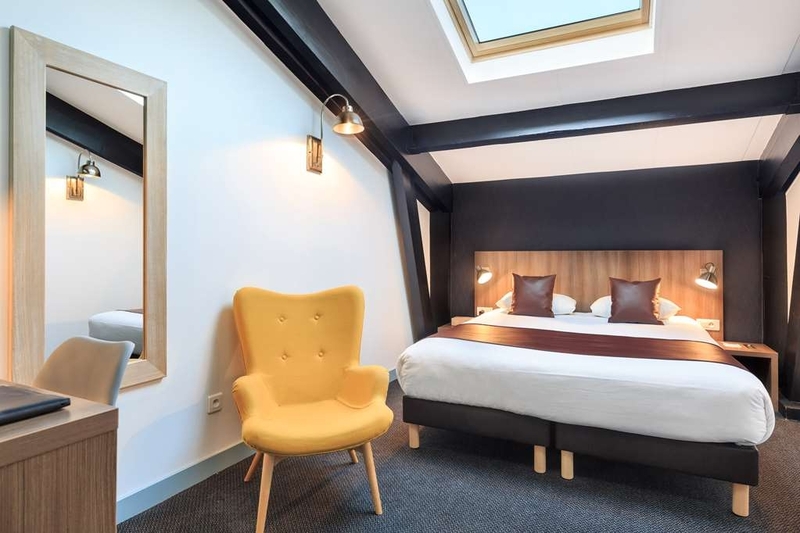 If you are coming from the airport, the shuttle stops at Place Jeanne d'Arc which is 200m from the hotel Overall, excellent value for the price we paid, and we would stay again. While the room was quite small, we were comfortable. The reality is like most visitors, we really just needed a place to sleep at night and did not spend much time in the room. There were some nice touches- the happy hour at night with wine and local canapes, and the breakfast buffet was plentiful with local cheese, yogurt and fruit, although the space was really cramped with business people in the morning and we once had to wait for a table. And the staff was helpful with directions and provided a map so that we could navigate around the city. A big plus was it was just a 10 minute walk to the train station which made getting back and forth from day trips very easy. "Simple lodgings, good value, friendly staff"
Wife and I spent two days in Toulouse before picking up a weeklong tour. The hotel was part of the pre-tour package. Located in a grittier part of the city, it's within ten min walking of the town hall and two min from the town bus station. The better eating spots are also within walking distance. Rooms are simply furnished, breakfast is adequate. The best part however is the warm and helpful staff. No regrets. The room was small, but clean and comfortable. There was a skylight with a remote control too so great for natural lighting and then pitch dark for napping with jet lag. There is a daily happy hour for guests that includes complimentary wine and hourdorves. Cozy atmosphere and the staff is great at both the front desk and breakfast buffet. We would definitely stay there again. The best thing about the hotel Athenee in Toulouse is the staff. From the receptionist who offered us a change of room having judged that the trip to the 7th floor would be difficult for us, to the waitress in the breakfast buffet, they were all great. The hotel itself is fine, not spectacular but clean, comfortable with good beds and everything you need. The entrance to the car park is tricky if you have a long car. Drive slowly along the road as the hotel is quite difficult to spot. These are minor carps as the hotel is within walking distance of the beautiful centre of Toulouse and near lots of restaurants. We enjoyed our mini break, Toulouse itself and also the evening tapas at the hotel and the champagne for not needing our room serviced for one day- a nice carrot for being a little bit green! We stayed one night at the Best Western Hotel Athenee whilst on a bike trip along the Canal du deux mers. Our room was clean and comfortable and had everything we wanted and needed. The hotel is very central and close to lots of good restaurants. The best thing about the hotel was the extremely helpful reception staff. Nothing was too much trouble for either the morning male receptionist or the afternoon/evening female receptionist. We left our bike bags behind by mistake. We needed to organise a courier to collect these and bring them to our hotel in Montpellier. Both receptionists were involved with this and could not have been more helpful. "Standard rooms without mini bar, tourist tax to pay extra"
I reserved and paid this hotel by Galahotels. They offered quite good price and they are publishing,that all rooms are with mini bar or fridge. But Standard rooms are actually not, just the Comfort ones, which is unusual for 4-star hotel. I've never been in the 4-star hotel (Standard or Comfort room) without mini bar or fridge. I explained it to Hotel, before arriving, and they upgraded me for free to the Comfort room. Galahotels is very unfair towards its loyal customers. In their offer for this hotel, they don't mention, that the customers have to pay extra the tourtist tax of 2,20 euros par day. Booking.com mentions it in its offer! So, before leaving I had to pay 11 euros of tourist tax for 5 nights. However the hotel staff is very kind and proffessional, especially Mrs. Nikki and Mr. Olivier, who gave me a warm welcome on arrival. The breakfast is good, but it could be better (some dry meat, like prosciuto was missed!) and one day they didn't have any more scrambles eggs at about 7 am. The hotel has a very good habit to invite its guests for degustation of wines and snacks every day from 6 pm till 8 pm. It's very unusual, but pleasant. The other particularity is, that you get a coupe of champagne, if you put the sign on the room door, that you don't need your room to be cleaned and the towels changed that day. That's for protection of nature. Very wise and welcome. There are tea/coffee facilities in the room, but there is also Espresso machine in the lobby, where you always can get fresh Espresso coffee and some "madeleines". Very kind from the hotel. Stayed here for two nights in May. About ten minute walk from Capitole. Many restaurants and bakeries within a five to ten minute walk of the hotel. Although the room was on the small size it was comfortable and clean. We took advantage of the onsite parking – at €10 per night. A good 3* hotel. Staff very helpful. Hi Melanie, Thanx for your good words about our hotel ! 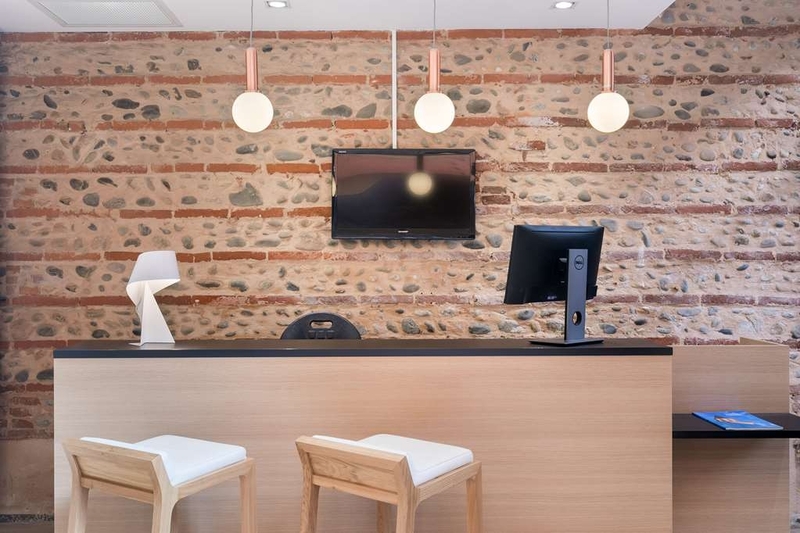 We're pleased to hear that your stay with us at Best Western Athénée was delightful and you appreciated rooms and location : our staff is always here and pleased to help you, and our reception is open 24h/24 ! We hope you appreciated our HappyTime everynight between 6pm and 8pm with wine tasting some regional products (foie gras with violet marmelade, dried sausage, terrines, cured ham from Bayonne) as well ! Hope to see you soon for a next stay at Best Western Athénée ! This Best Western is not the nicest nor the most modern I've been too. We had a room on the 5th floor. We had a room situated near the elevator and we could hear people talking in the corridor and going to there rooms all the time. The room was spacious, but the furniture, the fridge and the bathroom were rather old school. However, you could find extra pillows and extra sheets in the closet. The hotel is nicely situated. Just a ten minute walk to the city center and very close to the shopping area. The metro station Jeanne D'Arc is only a 2 minute walk from the hotel. If you come by car, like we did, it is rather tricky to park and enter/leave the parking. What I would like to stress, is that the hotel staff was very very friendly and extremely helpful! A technical error occurred during our booking and booked 2 non-refundable rooms instead of one. We called the hotel and explained the problem. First there was some hesitation, but in the end we got a total refund. When we arrived, the person sitting at the front desk was also very helpful. Four stars for their help & understanding! Clean, tidy room, no fridge but coffee and tea service and a bottle of water are offered. Appreciated the offered aperitif. Breakfast was generous. Location is quite central. Very nice and helpful staff. This is the worst Best Western hotel I've stayed in. It is surprising that it has 4 stars. I would give it 2. As soon as we entered our room, we were not pleased. It smelled like old tobacco even though it was an no smoking room. The carpet had crumbs on it as well as nail clippings. Gross! We asked to change rooms which was accepted with no apologies. The replacement room was clean. The rooms lack decoration, are very small and have little light. The free appetizers in the evening that were supposed to feature local products was a plate of industrial ham, and an already open and half eaten can of paté (we were the first clients). The wine was from 2015 and tasted more like grape juice than wine. The only positive point was that the bed was comfortable. We stayed on a windy day. There was so much wind noise and draft in the room that we had to pile clothes at the base of the door to be able to sleep. Dearest Madam, Sir, First, we would like to thank you for choosing our hotel. We would like to extend our apologies regarding the cleanliness of the room that was given to you. Though our hotel is small, we are mostly praised by the cleanliness of our rooms and we are proud about it. We will make sure that this incident will be the first and the last. We do offer the regional aperitif to all our valued clients in order for you to have a taste of what our region offers in terms of foods and local wines. On alternate days, we do serve different specialities such as 'JAMBON de BAYONNE', 'rillettes de canard', varieties of 'pate de campagne' as well as foie gras de canard. For the wine we do serve two varieties of red wine - TARANI and GAILLAC and TARIQUET for the wine wine. Some of our clients also enjoyed staying in our little salon while enjoying their coffee and little cake from our Nespresso Coffee Corner. Aside from that our clients also has the chance to have a glass of champagne whenever they asks us not to clean their room. It is true that we had a windy month of May this year in Toulouse but we would like to think that, that adds up to the charm of our city. We do hope that your experience during your stay with us will not be a hindrance for you to come back again. "A friendly and charming place in a good location"
The location is great. It is only 200m from the airport-shuttle bus-stop (Jeanne d'arc) and 10 min walking to Place du Capitole. The hotel provides a tourist city map. We had a classic double room which was clean and well-equipped. The hotel is neither very big nor the newest nor most modern but it is very charming with a lot of proud of their local products. You could find these products even in the bathroom. There are many warm welcoming offers from the hotel. We booked a romantic offer which includes a room, breakfast and also a bottle of champagne. Both the breakfast and champagne were really good. Breakfast was generous. The sausages were delicious!!! There is free coffee at the lobby. From 6pm-8pm, a regional aperetif is offered but there were many people around the table so we decided to skip this option. If you ask not to clean the room, you get a glass of champagne too. That's nice! All the staffs were very friendly and helpful! Thank you very much! We really had a great stay and we highly recommend this hotel! 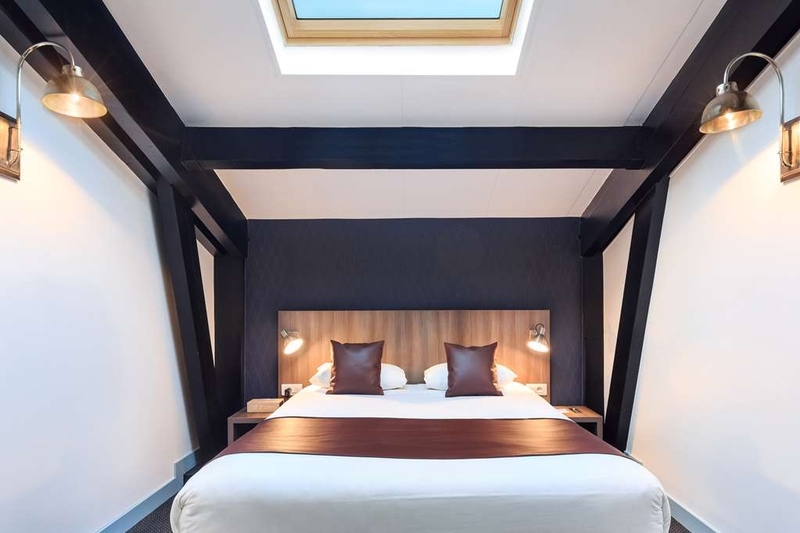 "A Central Location in Toulouse"
For a central location in Toulouse, the Best Western Hotel Athenee is located within walking distance of most of the town's major tourist attractions. 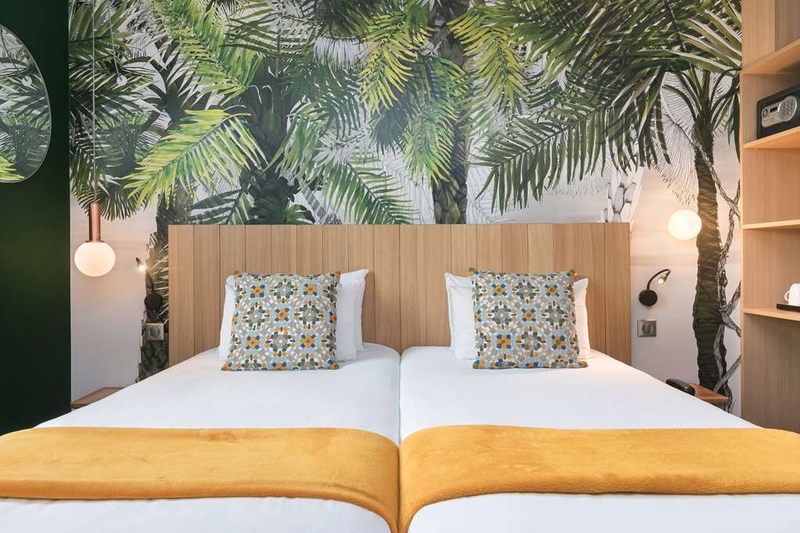 Located just down the street from the Jeanne d' Arc metro and bus stations, this hotel is easily accessible from mass transit, with less than a five minute walk down Rue Matabiau. The hotel staff are very welcoming and after a long trip from the United States, I happened to arrive near the time of the free appetizers and wine in the lobby, which is served 6 p.m. to 8 p.m. daily. Appetizers varied each day from pate on bread to items like bacon. The comfortable couches in the lobby make the evening appetizers a great place to relax after walking around Toulouse all day. The lobby itself is bright, warm and there is even an honor system for drinks from the bar. The rooms themselves are very quiet and the bedding is comfortable. I slept 11 hours my first night after being up on an overseas overnight flight. The heating in the room also worked well--even with the mistral winds blowing outside. My room included a mini-bar stocked with drinks and snacks, as well as an in-room coffee service. My fifth floor room looked out at a large fir-type tree and I was surprised to see each morning birds that looked similar to pheasants in the top of the tree. International news channels are offered on television and the room was spotlessly clean. The room lighting, however, can be a little dark for reading. My shower facilities worked well and the toilet was actually in a separate room. 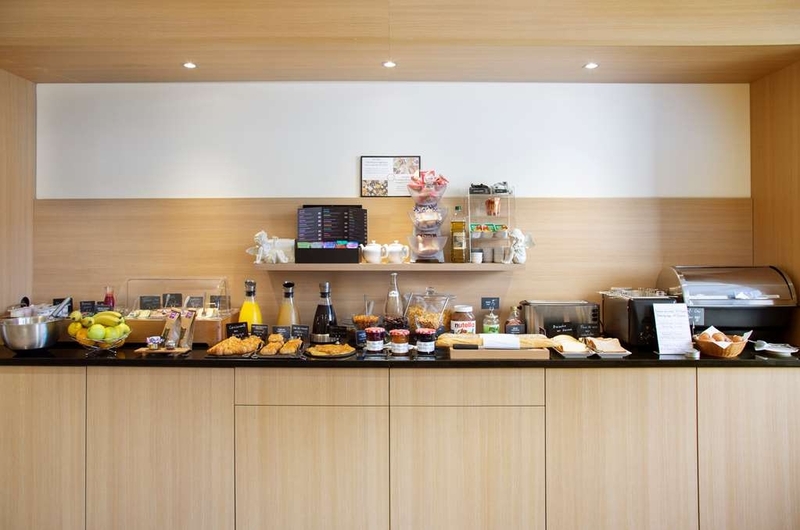 The hotel offers a breakfast buffet for a fee and options included croissants, cereal, yogurt, eggs, sausages, pastries and fruit. Be sure to have a croissant which was flaky, delicious and fresh--made the way only the French can make croissants. The hotel does not have a restaurant but room service with a few options is available. The front desk also has some recommendations for restaurants roughly five to ten minutes walking distance. 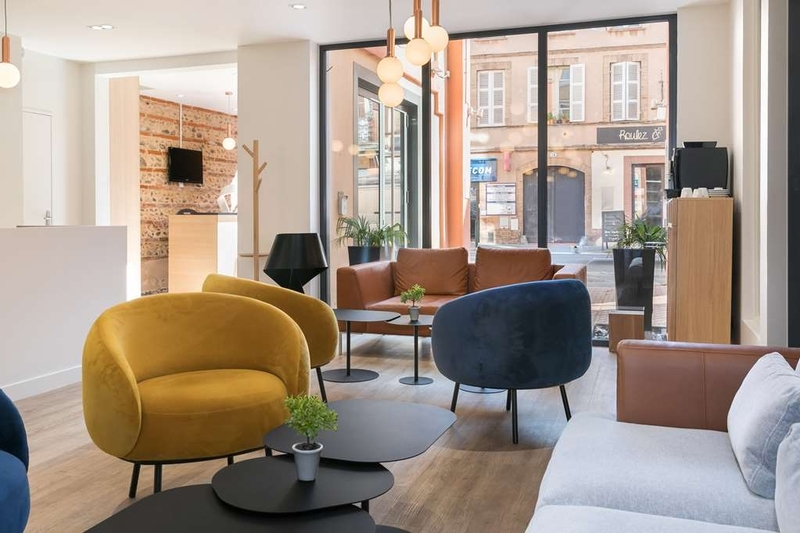 Nearby facilities to the hotel include a friendly post office on Rue Matabiau to mail postcards (about three blocks) and a Monop supermarket (about two blocks) on the same street, which offers pre-packaged salads and utensils for those who are taking food back to their room. The Monop was a nice find as I could get a small bottle of wine to take to my room as well. The Marche Victor Hugo (amazing food market) is just a five minute walk for those visitors wanting to sample first-class cheeses, breads and meats. The main square, Place du Capitole, is about a ten minute walk from the hotel. This hotel was friendly, safe and serene. I often travel solo as a woman and felt completely relaxed and well rested at this location. I have always had good luck with Best Westerns in Europe and would recommend Hotel Athenee to any visitors to Toulouse. "Central location with great rooms"
Three mintues walk from the metro, a friendly welcome in many different languages. The rooms are a great size, comfortable and sound proof. The breakfast is copious and coffee is served with a smile. In the evenings you have a free apperitif where you are able to taste regional products and chat with other guests on comfortable sofas. Free tea and coffee both in rooms and in the lobby area available all day. 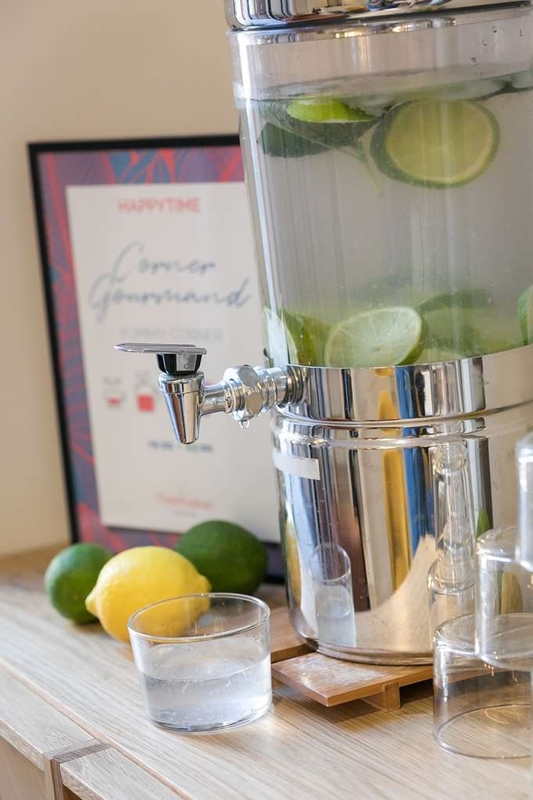 There is also an honesty bar in case you feel like a digestif after a long day! This is my second time staying at the hotel and I would definitely return again. I believe there is parking on site also (payable). The hotel staff was polite and very helpful. 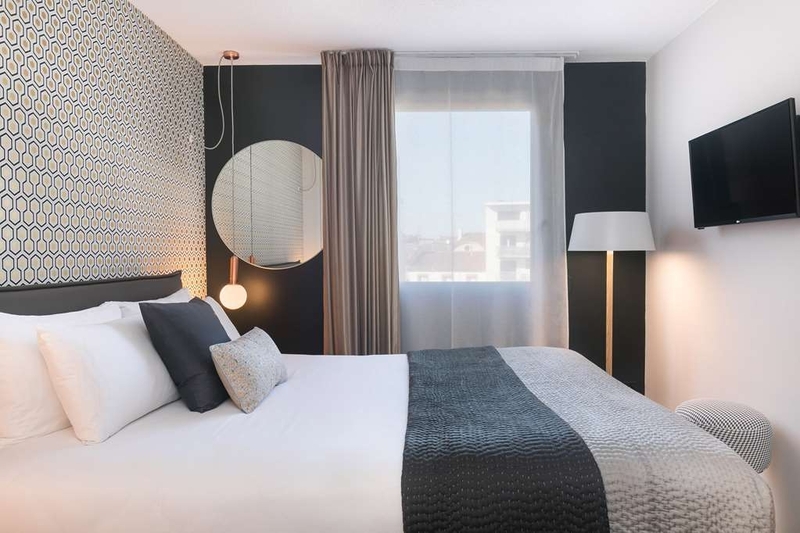 The hotel is close to Toulouse town center and almost everything, particularly restaurants and shops, are within walking distance. The room was clean and appeared to be recently renovated. The room rate included free breakfast (surprisingly good and above average) and aperatifs and snacks. The only minor drawback was our room faces the street, with some noise both at night and in early morning. Overall, we really enjoyed our stay and will definitely come back in the future. "More than a comfortable trip." The only thing I would like to comment is breakfast; coffee is okay, but the choices of food/breads could be more. The staffs are extremely friendly, and did help a lots with local information. The room is clean and comfortable, also with separated toilet in the room. Good location between Capitol, Metro and train Station. Special event in every evening is also a great experience to taste regional food. the hotel is perfect located for a business trip, the hotel has an older look and the parking entrance is rather narrow. The room is basic but clean. the staff was incredible! without overacting. i could ask everything. very well done!! It took two goes to find the hotel. It is not very clearly marked. It is actually very well located for the city centre, sights, restaurants and shops, were all within walking distance. The welcome was very warm. The staff were very concerned that our stay was comfortable. Our room was small but as we were staying for only one night it was adequate. The beds were very comfortable and it was great to be able to open the window. Convenient parking. I don't know how old the hotel was but there were certain things that need attention. The guest toilet downstairs had a faulty handle. Had to hold the door in order to lock it. The shower could do with an update. Still, it was very practical and the staff were extremely friendly and attentive. Stayed here last week for three days. There are some pros and cons of this hotel. The pros are the location is quite OK - relatively quiet street (good for your night rest) in walking distance from the city center and a subway station. My room had a separate toilet - always useful. Good wifi, OK breakfast (as far as the French breakfast goes). 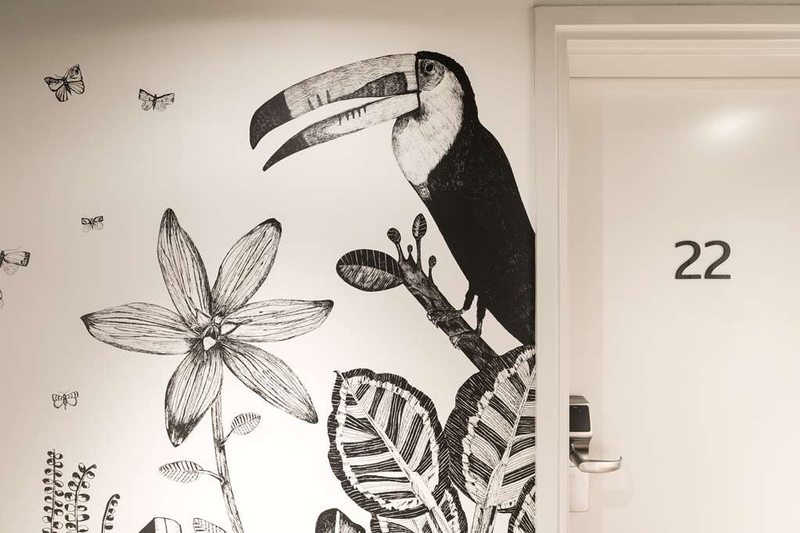 It is a small hotel - depending on what you prefer that can be a positive or negative. The cons are that the room was not very large and not overly modern (although OK). Due to the separate toilet, the bathroom was a bit awkwardly shaped - although further OK. The breakfast room and lobby are also not very spacy. Nevertheless, for a businesstrip this was more than sufficient, and none of the cons are showstoppers. Overall, not too bad for the price you pay. I would consider visiting again. "Small Hotel Walkable To The Major Sites"
This hotel is located on a bit of a sketchy, though safe, street just a short jaunt away from the top of the Old Town. However, the one small elevator is really not sufficient for its 6 stories. And the small breakfast nook doesn't offer enough seating when the hotel is near capacity. But there is a wonderful daily early evening happy hour of snacks and a featured wine. And the staff is very congenial and helpful. The hotel offers Wi-Fi and also has one stand alone computer in the lounge. However, there's no printer attached so you'll have to ask the reception for printing assistance. Parking is available. But turn in and stop at the office first. 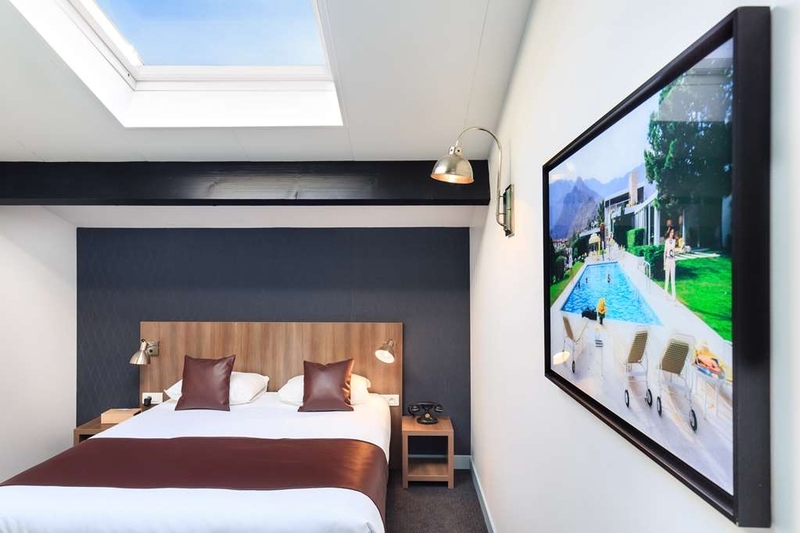 Like I said, this hotel is near the Old Town and, once settled, you can easily walk to all of the sights as well as explore the areas by the Canal du Midi and the Garronne. The walk to the SNCF is not far and there's a local bus transfer depot and metro station just down the street. Major restaurants and shopping are but a 5-10 minute walk away. 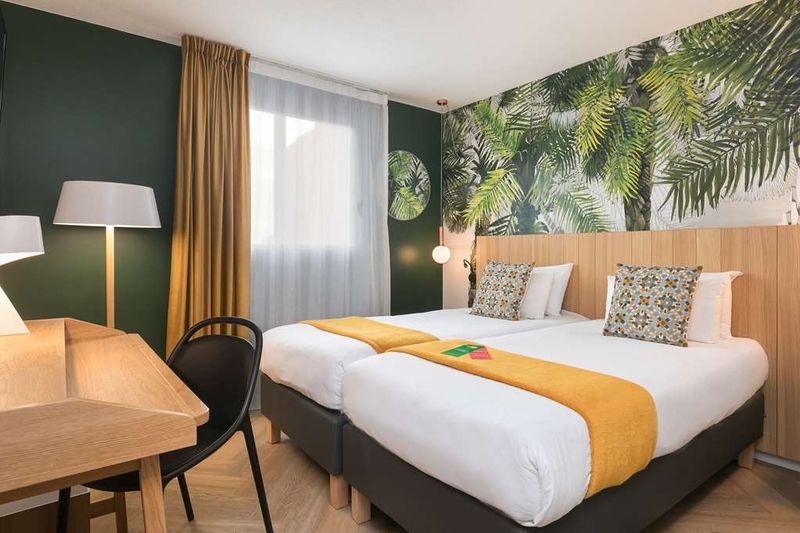 "Great hotel, very pleasant staff"
On our way home we stop in Toulouse just for one night, I am happy we booked this Best Western hotel, it has a superb location, close to the tourist attractions, shops and restaurant, all within a short walking distance. Superb staff, upon arrival, the AC in our room was not working properly, as soon as I mentioned it to the gentleman at the front desk, he came up with us and solved the problem. We really appreciated it. He also suggested a good restaurant. The rooms are not too big, but spacious enough to have a pleasant sleep and be confortable, I loved the decoration in our room, an old type phone, and old type lamp. Very clean both the room and the bathroom. In the room you find a kettle, cups and of course instant coffe for you to make, we enjoyed it. They offered an evening cocktail with local specialities. Private parking. Excellent wi fi Breakfast was ok a normal buffet breakfast, the only but for me, was the coffe, it was not very good. Some more fruits would have been appreciated. Best location....all tourist spots, shopping and restaurants are within a short walking distance. It also have secured parking on the site. Very nice facilities.... clean and functioning with design. Breakfast and evening cocktails are included. Very reasonable price, Above all,.....excellent services. I have never experienced the hospitality services quite like this anywhere in Europe. I travel quite extensively and for business I stayed in a five stars hotel. The services here is customised and very genuine. And because they have small staffs, they can keep consistent high standard 100% of their staffs, from day shift to night shift, from kitchen to front desk, from cleaner to the parking attendance. Every staff made all the efforts to make you as comfortable as they can in their limited capacity. That makes them even better than a five stars hotel. In a luxury hotel, staffs treat us well as their employer requires them to do, they are paid well and we pay a fortune for that kind of Services.Over here they service us as if they were the owner.They treat us like a Guest not a Customer! I had a very early flight, the front desk made the effort to bake the bread for me at 3am. (I could not recall, his bane is Amaro or something)! Their services is equivalent to an award winning luxury hotel but for a fraction of their price. I will definitely stay there if I am in the area. Spent a few nights here and couldn't fault the friendly service. 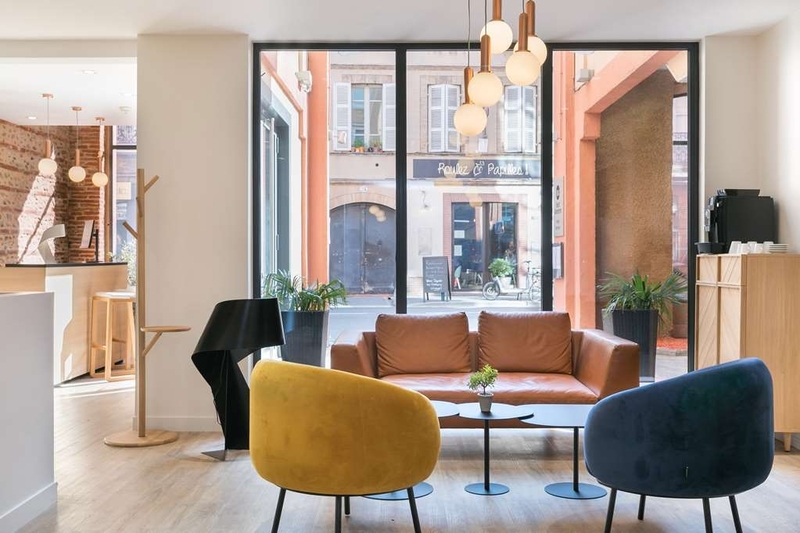 The situation is good, not far to walk to the centre of Toulouse, near to a stop for the shuttle route from the airport, near the Metro, and a few minutes walk from the railway station. As others have said the rooms are small - and the separate WC to the (very nice) bathroom was even smaller, but clean and comfortable and, unless size of rooms is important to you, it doesn't detract from the fact that the staff go all out to make guests welcome, even to the much-mentioned liberal serving of wine and nibbles in the early evening in the cosy lounge area, where guests have the chance to chat in an intriguing mix of languages. "Beyond the Call of Duty!!!" We booked this hotel for a one night visit whilst on our way to visit friends in the area. What a find!!!! The room was excellent and the bed comfy. There's parking (10 euros). The bathroom was all brand new, but what really made it was the helpfulness and friendliness of the staff. It's within walking distance of the city centre (10 minutes) and has easy access to the main square and the river on foot. Between 6-8 in the evening they have something called 'Happening' - jambon, pate, nibbles and wine in the seating area by reception. Absolutely scrummy, but also a great chance to mix with your fellow guests (which we did). There's free coffee in this area too. We didn't have breakfast so can't comment on that, but we would definitely return to this hotel if we were in the area. "Very comfortable, stylish and homely"
Very comfortable, stylish and homely. Personal are very polite, every evening you can have some vine and tasty snacks as hotel compliments. Interesting room on the top floor with a window on the ceiling, you can look at the starry sky at night! 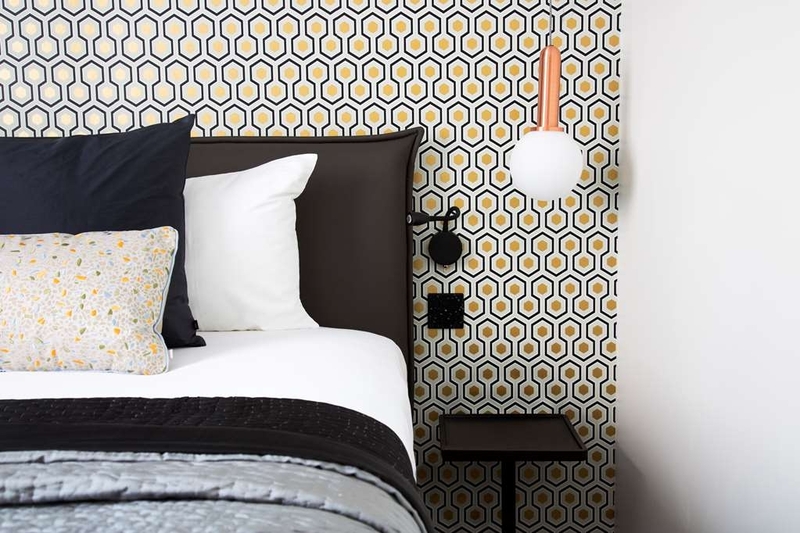 "Clean and functional with friendly, helpful staff, the rooms are small though." This is a fairly typical Best Western Hotel, nicely individual, with some good points and some not so good. This one is well located in a side street within walking distance (just) of the town centre. It is clean and functional with friendly, helpful staff and a pleasant reception and guest seating area. The bedrooms are small though - we had upgraded to a comfort room which is at the back of the hotel and so avoids noise from the street. The decor was clean and fresh, the bed was comfortable and there was tea & coffee making facilities in the room which we did appreciate, but the room was very small. There was a reasonable bathroom with a shower over the bath, and a tiny separate toilet. It was absolutely fine for one night but I wouldn't want to stay much longer without more space. 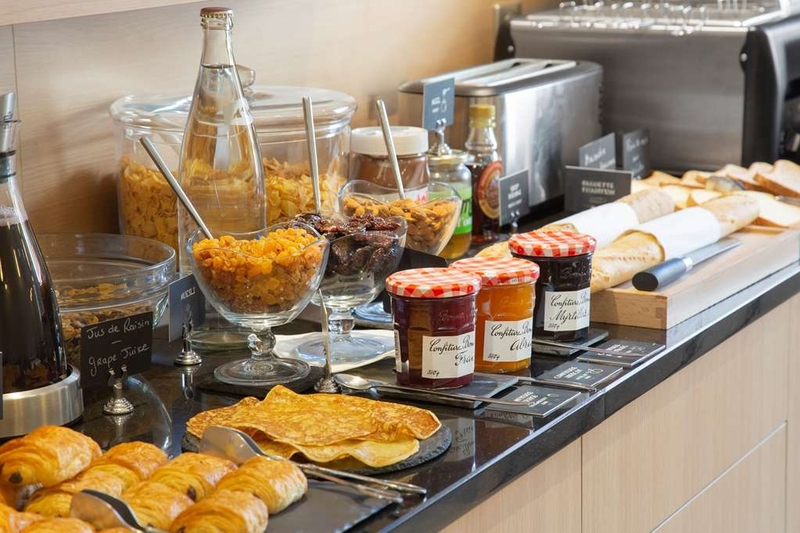 Breakfast was fairly typical for a French hotel with good pastries and coffee. One important point to note. There is a small car park behind the hotel. To access it you must turn off the street, then sharp left and sharp right through a narrow passageway. Our rented Megane fitted - just. I think there was about an inch either side and all of the car's proximity sensors were going mad. You would NOT want to try this with anything larger! Thoroughly enjoyed our stay. The staff were very friendly and helpful, the breakfast area was adequate and the breakfast as substantial as you would like, with tea, coffee or hot chocolate. There was a coffee machine in the lobby, which was free to use during the day, and each evening local wines and delicacies were served. 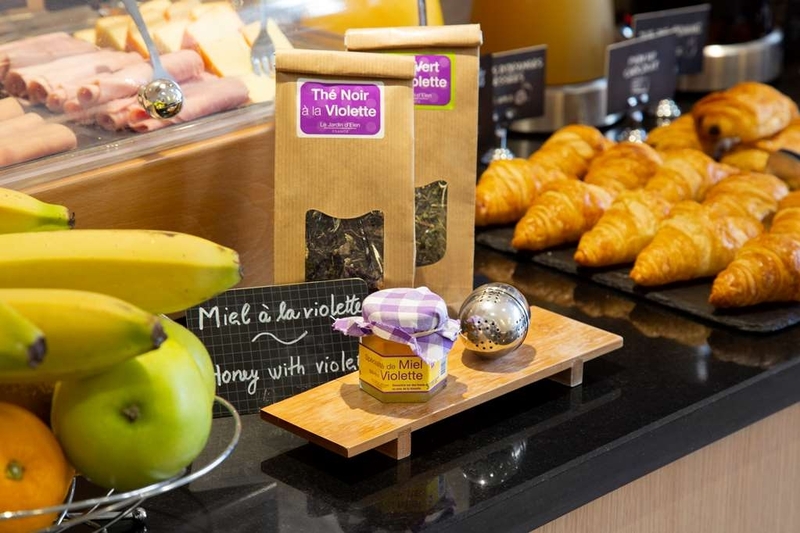 It was a great way to discover local produce, such as violet conserve and pates. The room was perhaps a little on the small size, but adequate and the bathroom was a decent size, clean and everything worked well. The air conditioning was very efficient, which was a blessing because the temperature outside was particularly hot. There was no view to speak of from the room, but that wasn't an issue for me, as I was more concerned with keeping cool and noise-free. The only noise problem I had was the sound of pull-along suitcases crossing the car park at 5 am! Although the hotel is reasonably close to the station it was not an easy walk with luggage, as the footpaths were difficult to negotiate in places. Not sure if it is far enough away for a taxi though. However, I would not rule this hotel out, as once there, we could not fault it, and it was a short walk to the centre. The wifi was good. "Hotel is okay, front desk service very friendly/helpful." I flew into Toulouse at night, spent the night in the hotel, went to Lourdes first thing in the morning (6:10am train), got back to the hotel at night, spent the night again and took the bus to the airport in the morning. So I didn't see much of the surrounding area other than the walk to the train station and the walk to the bus stop. With that in mind, here is my review: Advantages: - Hotel was fairly close to the train station. Easy 10-15 minute walk. - Hotel was close to the bus stop for the airport (8 euros). - Although the general feel of the hotel is "old", the hotel was clean. It looked like the bathroom areas were completely remodeled. Faucets, etc looked new. 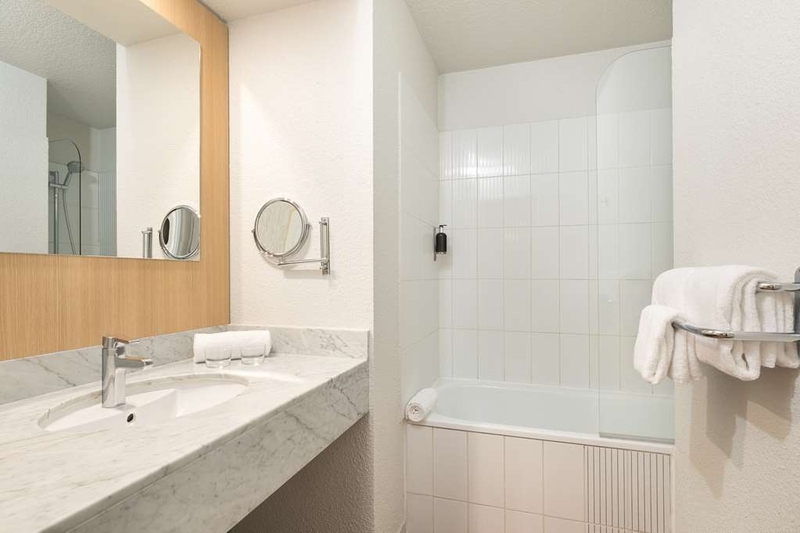 - The toilet was in a separate room than the sink+tub, which I suppose could be useful when travelling with a family. - The front desk staff were very, very helpful and nice. I had a lot of questions - and they answered them all just fine. - I did not purchase the breakfast. However, danish/coffee/orange juice was provided in the lobby for free - and was there at 5:30am - which was useful! Disadvantages: - I was in a room on the 6th floor. The light in the hallway didn't work, and so when the elevator door shut, it was quite dark, which was a bit unnerving - as I was travelling there alone. (Note: I didn't mention this to the hotel, I assume if I had, they would have fixed it.) - As mentioned, the room had an "old" feel to it, although the bathroom was remodeled. - I had the unfortunate experience of having a neighbor in a nearby room who was yelling for quite some time around midnight. (Don't these people think?) I could say the rooms didn't block sound very well, but I have the feeling that almost no room would have blocked the sound coming out of that lady. She was loud! Note that I did NOT complain to the hotel. - Not quite sure what the issue was, but when a truck went by, it created a "wind tunnel" type noise on the 6th floor that sounded like a hurricane. (Having experienced a hurricane in FL, I know what it sounds like.) This was, at first worrisome, until I realized the cause. - At 5:45am, when I was walking to the train station, I passed 3 'ladies of the night' - which I really didn't want to see - walking alone in the dark myself. So I am a bit mixed on what to recommend. I give the staff an excellent, the room was fine enough, the location was a bit worrisome - but not that bad. It is a toss up whether or not I would stay here again. Room was tiny and not at all comfortable. While in the shower I saw hair on the walls. The towels had a bad smell. The staff in the reception were not there when needed. In general the room did nor feel clean. This was a lovely hotel, good location, clean comfortable room with pleasant staff. There was a free reception with wine and foie gras for all the guests, bottled water and tea making facilities and a sweet on the pillow, which were really nice extra touches. We stayed in 3 other hotels in France in the same week, one of which cost 3 times more than the Athenee, and none provided these extras.. I would definitely recommend this hotel, it ticked all the boxes for me. 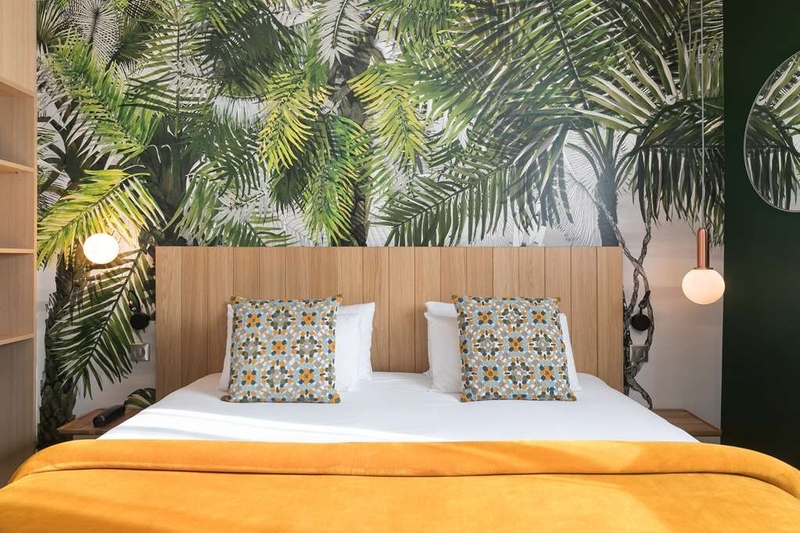 "great place to stay downtown"
Waking distance to the Matabiau SNCF train station, Very affordable and great value for money. Local sites of interest are within walking distance of active people. 5 minute walk to airport shuttle Flybus which costs 5 euros each instead of a 40 euro taxi ride, and which takes less than 30 minutes to the terminal. Would stay there again in a flash!